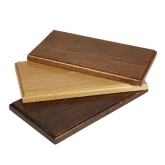 We can supply all types of official opening plaques in a range of materials and colours. We can incorporate company logos in colour. 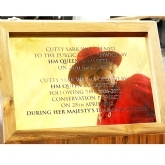 Each plaque is made to order therefore we can manufacture in any size, We can provide a backing board to enhance your plaque and we can also hire out our unveiling curtain kit to make your event more special.